All the basic ingredients of pizza have a healthy potential. It’s only when you go overboard on toppings or the amount you eat that pizza turns into an unhealthy food option. 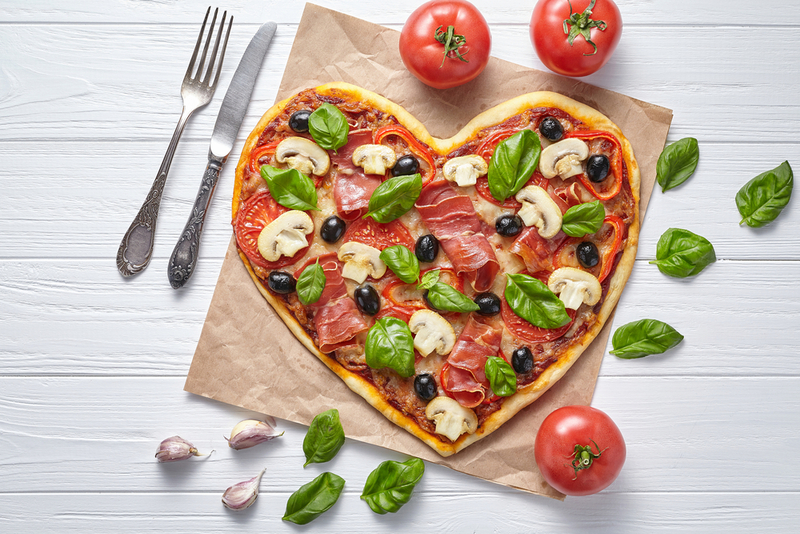 Women Fitness brings ten ways to bake a healthy nutri-rich pizza. Go for a Whole Grain Thin Crust: Set aside the traditional white-flour pizza crust and make your own whole-wheat dough for some extra proteinand fiber and a nutty flavor. 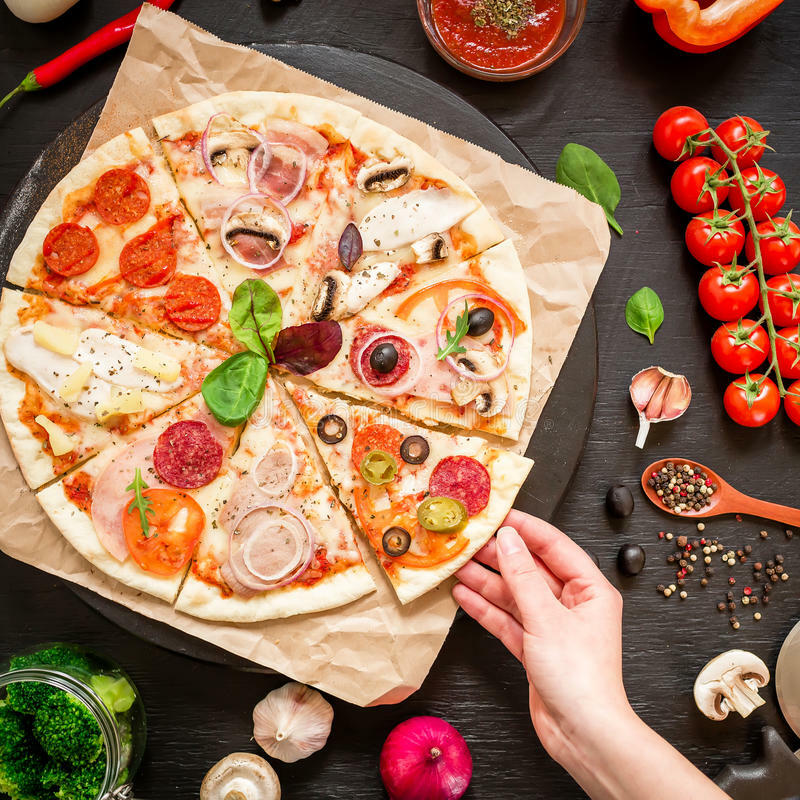 A thin crust will get you all of the delicious taste of a regular pizza– cheese, sauce and toppings minus the added calories from a thick crust. If you want to go grain-free a great option is a cauliflower pizza crust. This isn’t like a standard pizza crust, but it’s a great option if you are looking to cut out carbohydrates or looking for a gluten-free pizza. 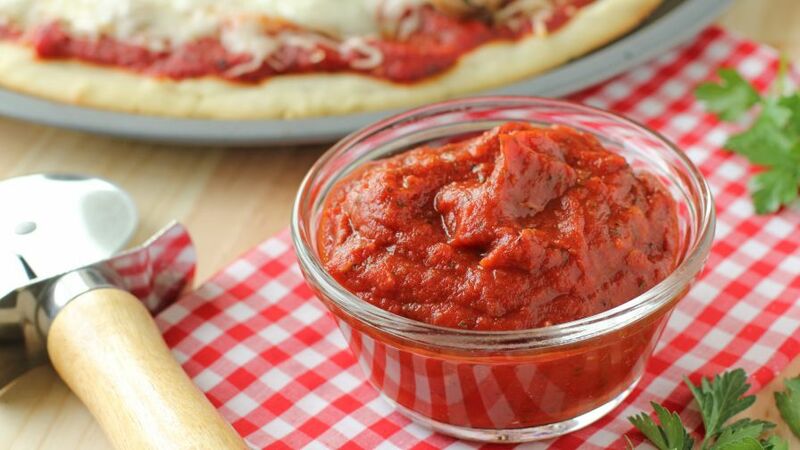 Saucy Options: Jarred pizza sauces are usually drowning in sodium and other preservatives. Try making your own to instantly improve the quality of you pizza recipe. Think beyond red sauce and try pesto or some good olive oil and fresh garlic sauce. Romesco sauce with grilled smoked-turkey sausage is also an excellent choice. 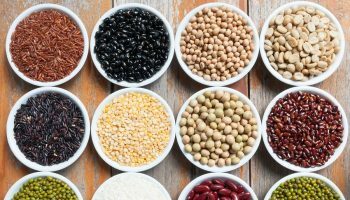 Opt for Smarter Toppings: Use fresh produce or seasonal produce when available like red heirloom spinach, baby fennel, or any seasonal fall squash. Spinach bakes perfectly in the oven and goes great with feta cheese. Vitamin C, folate, and fiber are just a few of the broccoli’s benefits. So top your pie with this cruciferous veggie for crunch, flavor, and health! For a Mediterranean-style pizza, just add olives! (Or go all-out and add eggplant, spinach, tomato, and feta too.) Beet goes great with a little goat cheese and arugula. You can also grill some thick slices of polenta (made from ground cornmeal) and throw it on the dough. It goes great with a hearty tomato sauce! Meat for Protein: If you’re craving meat, try turkey pepperoni or Canadian bacon. 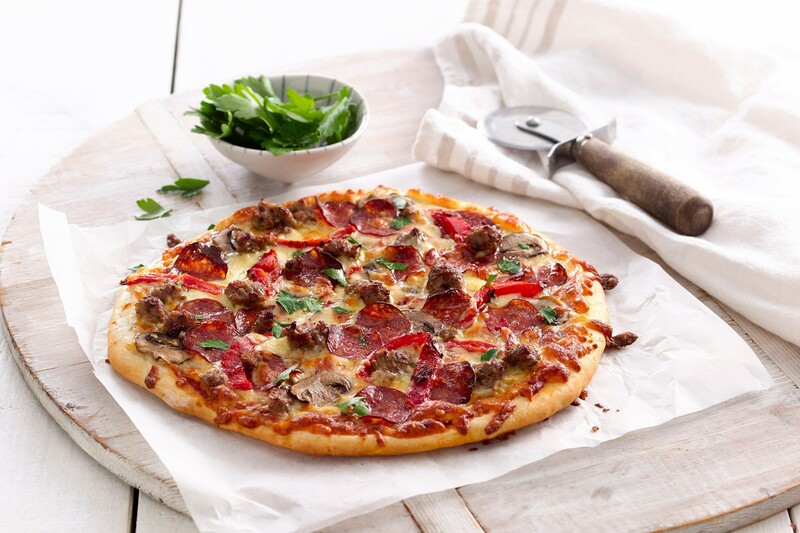 Or, for an even better option, have your meat of choice added to the top of a veggie pizza. For a ton of protein without the fat, grilled chicken is the way to go. Scrambled egg or poached egg can be a healthy protein topping for a satisfying meal. You could sprinkle some walnut for an omega-rich topping. Don’t Overdo Cheese: Stick with a single layer of cheese on top of the pizza. That’s because getting a bit of extra calcium every day may actually help keep you lean. According to a study in the journal Obesity Research, men and women who cut calories but added dairy foods high in calcium to their diet lost 70% more weight over 24 months than people who only dieted. You can try goat cheese for less fat and more protein. Sounds like a winner! If cheese isn’t your cup of tea, try this tofu (cheese) recipe for all the bold flavors of cheese with none of the dairy! Get Spicy: Spices are a delicious way to create layers of flavor without piling on calories. Toasted cumin, ancho chili, and dried Greek oregano are great favorites. Don’t be afraid of seasonings—go for it! Do away with more oil, instead use fresh chilies and red pepper flakes for more subtle flavors like fresh tomatoes and herbs. 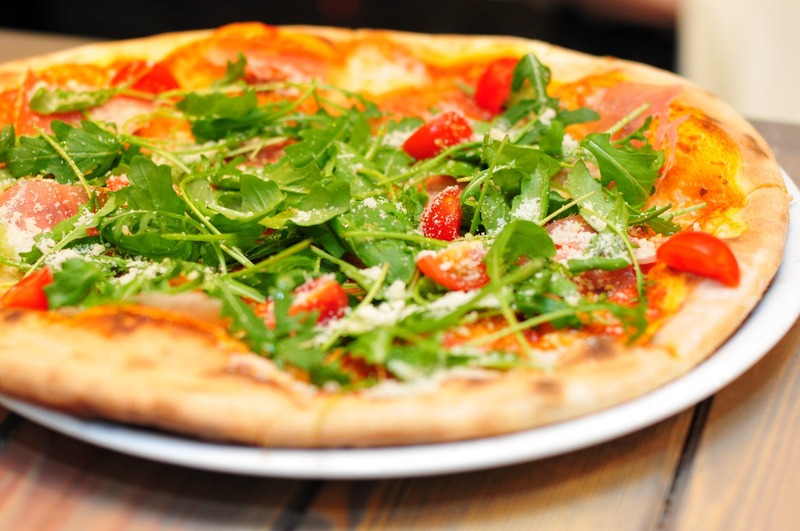 Watch Your Portions: Pizza is one of those foods that folks mindlessly munch, so pay attention to portions. 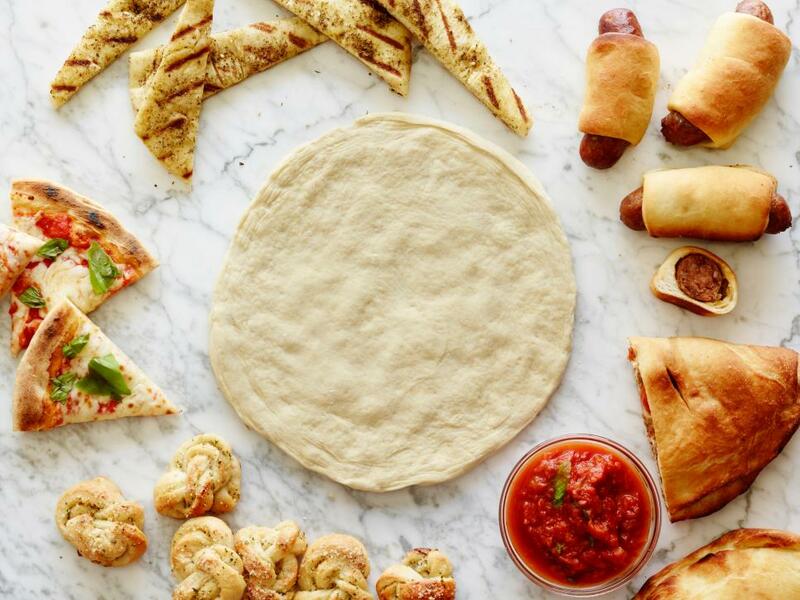 Plan you Pizza Treat ahead: Make the dough the day before you need it. Or buy a ball of premade dough from a local shop. Turn up the heat: Turn on your oven as high as it will go. It won’t come close to the 800 degrees of a commercial pizza oven, but maxing out your oven’s temp will maximize your crust’s crunchiness. 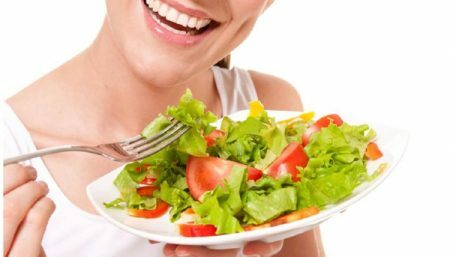 Try a Combo Meal: Salad (spinach or kale) can serve a good side dish with pizza, try it with Italian dressing. Also try fruit as a side, particularly melon. A fruit salad with kiwifruits, oranges and pineapple will prove great. Stop thinking of pizza as a forbidden food. 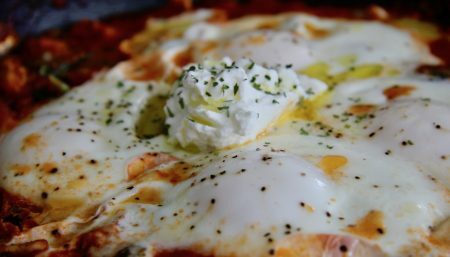 Do not hesitate to create a pizza of your choice filled with nourishment. Try any of these combos and fall in love with healthy pizza. 10) Thinly sliced potato and chives.